When The Division Bell was released in 1994, roughly at the beginning of my musical adventuring, my exposure to Pink Floyd had been more or less limited to The Wall. In comparison to that seminal rock album, one I’d unhesitatingly place as a 20th century masterpiece, The Division Bell seemed rather lacklustre. Tracks like A Great Day for Freedom recalled the melodic riffs I latched onto in the band…but then there were tracks that came across merely as soft and meandering. Prog rock, I thought, shouldn’t come across like soft jazz. Over 20 years later, with a more evolved appreciation for music and greater knowledge of Pink Floyd’s word, the release of Endless River prompted me to return to The Division Bell and give it another listen. Surprise, surprise, the album doesn’t sound the same. While certainly not a landmark like The Wall, nor seminal like earlier albums (Dark Side of the Moon, Wish You Were Here, and so on), The Division Bell is also far from “rubbish” as Roger Waters unkindly judges it. Liberated from the demands of aggressive ambition, the album’s relaxed demeanour feels today, quite simply, like having a seat in a studio filled with musicians at ease with each other. As a parallel album in space if not entirely in time – the music was recorded during the Division Bell sessions but unreleased at the time – Endless River serves as epitaph in memory of Richard Wright, a coda to Division Bell, and a pensive epilogue, as it were, to a classic and essential band. Predictably, the critical consensus circles the verdict that this is the sort of music put out by rock ‘n rollers after their exile to the retirement home. Some reviewers tack away from this view, praising the album for what it is, while others reject it as a disappointing, sighing retread. In the “end,” only one’s own ears can tell which it is. Arguing over the musicianship strikes me as a technical dead end. But artistically, it’s hard to refute the argument that the band has not been driven towards conceptual grandeur after The Wall, an impulse that exited stage left along with Roger Waters. Endless River, like The Division Bell, is hardly a tremor let alone an earthquake insofar as visionary music goes. 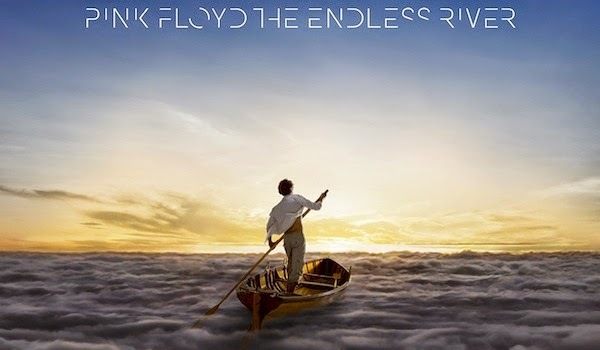 But as a straight-up listening experience, music for the senses more so than the mind, Endless River benefits from a quality that Division Bell exhibits after one gets past its drive to be “about” something. By foregoing the conceptual burden of lyrics (except for the last track, Louder Than Words) in favour of riffs and jams, improvisations and musical quotations, the album is allowed to stand for itself. Like its title suggests, the music isn’t about a particular destination, or even a port of origin (unless you want to bring band politics and other contexts into play), but a quietly compelling journey by accomplished musicians limited only by one’s preconceptions and expectations. More ceremonious than a fade to black, Endless River is best enjoyed in a darkened room as a mind trip from the planetarium to outer space – just like The Division Bell, in the end.